The resignation of Police Chief Kevin Richardson on July 17 has not, apparently, put a period on the lengthy dispute between town officials and the veteran Dracut cop. Recently, Town Manager Jim Duggan received correspondence from Atty. Dennis R. Cormier, Richardson's lawyer, demanding that Richardson be paid $7,759 for unused personal days and compensatory time. At the time of his retirement, Richardson received a check for $21,308. But that amount only covered unused sick time. In his demand letter, dated Sept. 6, Cormier gave a deadline of Sept. 20 for the town to pay the additional money or a lawsuit would be filed on Richardson's behalf. According to Duggan, the town has not paid the additional money, nor does it have any intention to do so. "When a town employee retires, they are paid for the remaining sick and vacation days they have not used," said Duggan. "The town’s by-laws do not recognize personal or compensatory days." To date, Duggan's office has not been notified that a lawsuit has been filed. Cormier did not return messages seeking comment for this story. 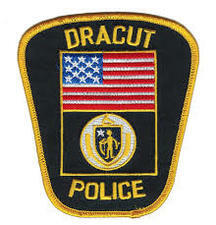 Richardson served 34 years with the Dracut Police Department, the last of which featured a strained relationship with Town Hall. The situation reached a tipping point with the release of an independent audit of the DPD, conducted by the firm Municipal Resources, Inc. The report was critical of Richardson's leadership and overall atmosphere within the department. Richardson denied the accuracy of the findings iin the report. However, he announced his retirement a short time later.